What do you use to transport your army? Before starting DE I have never had an issue, however with all of our spiky parts and fragility, on the battlefield and off, what have you found is the best way to keep your models from breaking? I don't want to get the super expensive battlefoams I am looking for something a little more DIY. I have a longterm plan but that is going to take lots of free time. Any suggestions as to something I can do in the interim? I have some tool boxes and am thinking of getting a bunch of foam but that doesn't really help me with my vehicles. Any feedback is appreciated. Tupper ware. No joke. I stick the models to the cover and put the pot head over. 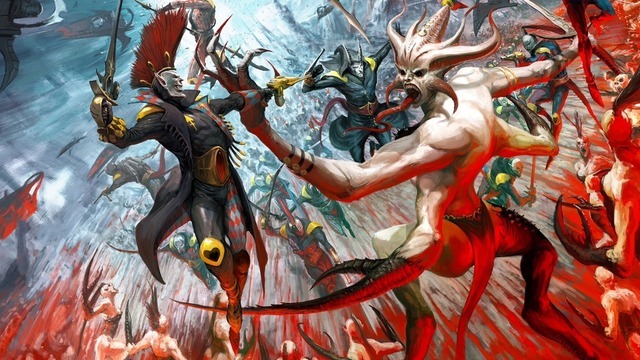 I really want to buy the TableWar case. But currently I use the Army Transport foam cases. This, if you can find something similar where you live. 35$ CAD and worth every penny. Canadian Tire is roughly equivalent to the hardware/outdoor section of Wal-Mart, or Lowe's/Home Depot. I've got one for my DE and it fits everything amazingly perfectly. Comes with pick & pluck foam or dividers as seen in the picture. Did the foam come with the case? Because I would love to have those for my army just not at the ridiculous prices that they sell them for. The inserts are what i'm looking for mostly. I have tool cases and the such. I'm using cheap pistol cases from Walmart that had a pluck foam insert. It's ok but my models break taking them in and out when the spikey bits get stuck on the foam....very disheartening...but overall has worked really well. You only transport 10 vehicles? I'm still at 12...for lists not big enough to take a second force org...albeit this is a smaller number than ol' lucky 13/14 that I used to run under the old dex. My short term/quick solution would be a lot of tissue paper/paper towels and a large cardboard box. It's what I used for my Orks for quite a while (and still do for my Space Wolves...because I'm slow at getting new foam, and it's pricey. Yes the foam comes with the case Rumble. And yes, Thor, I've only got 10 vehicles. Feel free to buy me some new ones! For the vehicles, each one is wrapped in a dusting cloth, then stored in my bikes top box, everything surrounded/cushioned by lots and lots of teddy bear stuffing. I store my Dark Eldar in the innards of teddy bears. It just feels right. There is a very old thread in this section of the forum that had a lot of very creative options. I personally still use a sturdy cardboard box full of foam packing peanuts for vehicles and a GW figure case for infantry models. I have been using the same box and peanuts for over a decade without any damage to my models. Granted, they are the old style, I am just starting to find the time to assemble and paint my new army. If you want a very inexpensive, but safe and reliable transport, it is a great option. These are all excellent ideas. I would love to be able to get some pluck foam cheap. I have toolboxes I use so the inserts are the main priority. Just search on ebay for it. You can buy it really cheap. But seriously, I only have a few of the actual card cases, then I just buy the foam I need and switch them in and out of cases depending on which army I want to take (slash, just put all the foam in a big card board box and carry that). Works great for me. 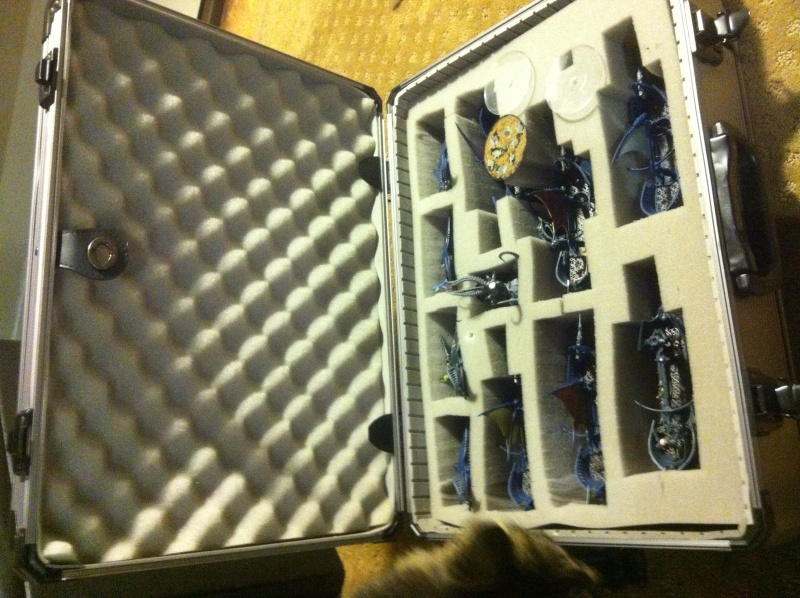 I also have an old Sabol Army Case/bag, which holds all my Stormtroopers/Admech/Grey Knights. That came with pluck foam, works a treat. With an electric knife and some upholstery foam you can cut your own. as a dedicated corner-cutter, I've come to reluctantly believe that DE vehicles (Raiders/Ravagers/Venoms specifically) are one of the few areas where Battlefoam custom-cut trays are totally worth the cost. I got one and am just amazed I didn't do it before. I don't know, I'm trying to stay away from that stuff, I never bought into that. I'm looking for a temporary fix for right now, I work with a CNC machine and can cut my own I just have not had the time so I will be making custom vehicle ones for my armies. I swear by KR Multicase and their custom DE trays. My breakages are very minimal. I love all of those custom trays and I want them, but I just get the feeling that all of those companies are charging a bit too much for them. I am not bashing their usefulness I just kind of feel like i'm getting ripped off. I have the cardboard battlefoam box now, but I've had soooooo much more breakage with it than my previous method. My DIY was a cardboard box and duct tape. I took the tape and folded it lengthwise, one third folded over so that the sticky and not sticky parts were roughly equal, then another strip turned the other way and boom, infantry and small flying bases fit really well. If I was gonna do it again, cutouts and crossbars would be possibilities to keep the whole thing a little more stable and compartmentalized. 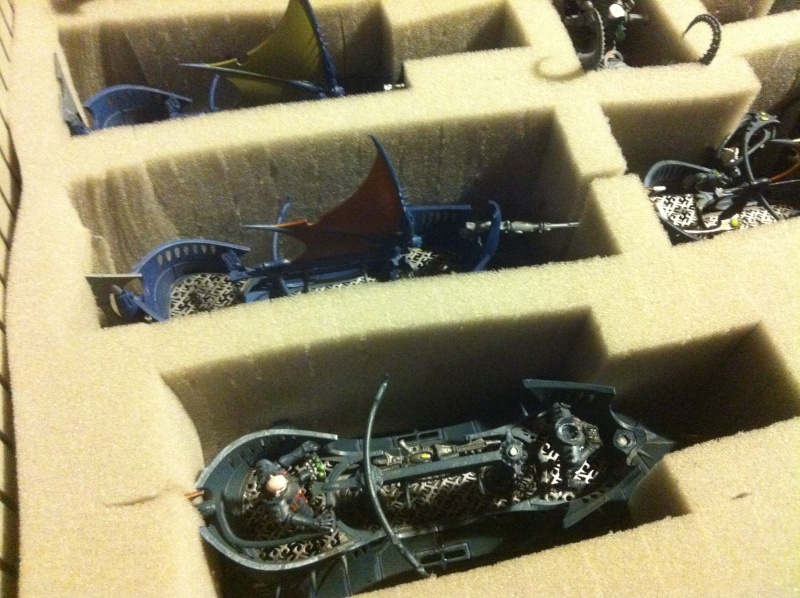 Subject: Re: What do you use to transport your army?